This is not a “woe is me” I am a woman in a man’s world. This is a post about how to make yourself stand out as a woman in agriculture. Women are making a difference in agriculture, on the farm and in the office. According to the USDA, 31% of American farmers were women. But that does not even cover the women that are involved in the industry, not as farmers. When researching women’s involvement in agriculture, I found some interesting information. In the state of Alabama (where I live) state youth organizations have a high level of female involvement – in one organization, 64% of the presidents in the last 14 years were female. However, when I measured the state “young” agriculture organizations the numbers were closer to 25% of past leaders were females. In state organizations less than 10% of leaders (on average) were female. I do not have the answers to why, or how to change this. But I think a lot of it involves support and confidence. This blog will hopefully inspire you to make yourself stand out and feel comfortable joining the conversation. Whether you’re good at something or bad at something, own it. Don’t ever be embarrassed by not being good at something. But definitely never be ashamed for being great at something. Be proud, don’t let that get overshadowed or oversimplified by others. This is one that I have realized all people, but especially women struggle with. The biggest piece to this is believing in yourself. If you don’t believe you can do something, no one else will either. So many women aim to do everything guys can do, but that is not necessary. Aim to do the best you can at everything that you do. For a great example of how to do this, read this post from Adrian Brannan, Buckaroogirl. It is one of my all time favorites. If you don’t have time to read it, here is my favorite excerpt: As a woman, you were created to be something more. Someone tough in ways that are almost impossible. Someone that can handle more than she should be able to. But also realize, no matter your gender, you will never get something you don’t ask for… a job, a raise, a promotion, a bigger piece of land, a portion of your family’s farm. Step up, stand up, take a seat at the table to create change. 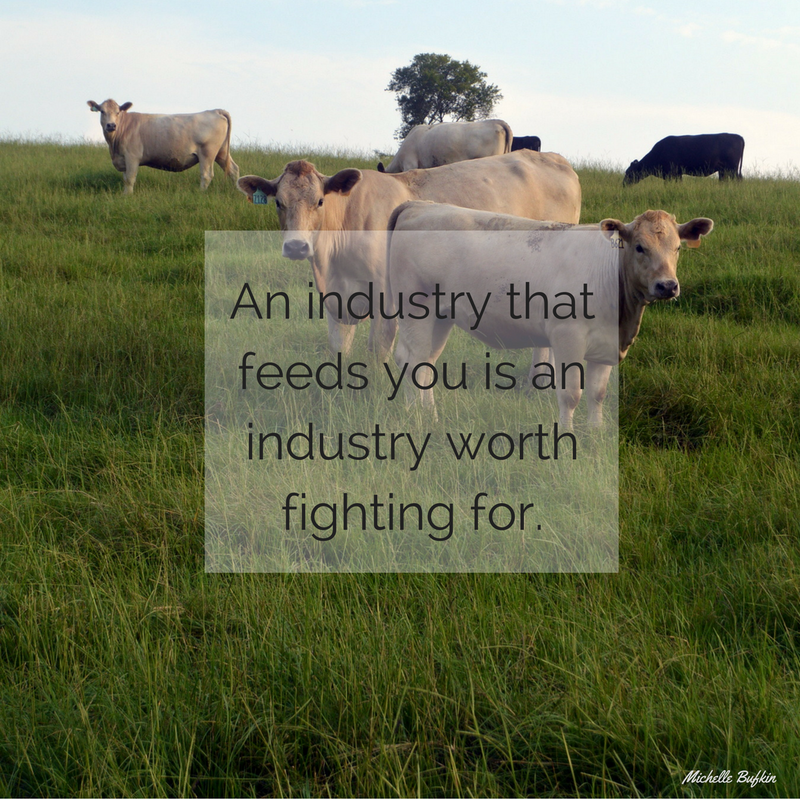 Sharing your story allows you to impact consumers by teaching them about agriculture. Bruce Vincent, author of Against the Odds, explained in a talk recently that agriculture cannot operate without the social consent of the public. This means we need the public to understand what we do. To read more about why advocating is important, visit this past blog. But more importantly sharing your story shows other women what a strong, successful woman in agriculture is capable of accomplishing. One of my favorite quotes from FarmHer is “Images change perceptions. Perceptions become reality. A new reality means equal treatment, pay, opportunities, involvement and recognition.” So share images and share your story in a way that allows others to see the truth about women in agriculture.